RAWALPINDI: Pakistani security forces have recovered four abducted Iranian soldiers from a "transitioning hideout" during an operation in Balochistan's Chagai district, the Inter-Services Public Relations (ISPR) said in a statement on Wednesday. Pakistani security forces conducted a successful intelligence-based operation (IBO) at Amori in Chagai district, about 3-4 kilometers away from the Pakistan-Afghanistan border, said in a statement. 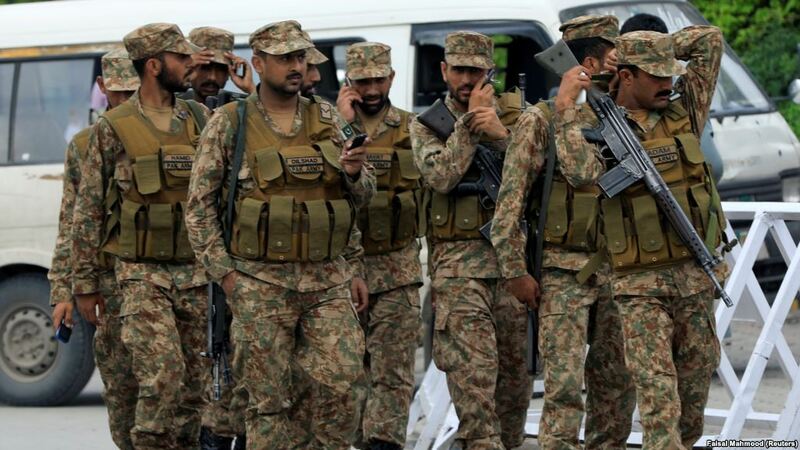 According to ISPR (Media spokesman of Pakistan Armed Forces), terrorists of a proscribed organization were reported to have entered Pakistan from Afghanistan side along with kidnapped Iranian soldiers. Thanking to Pakistan, Iranian authority appreciated the efforts of security forces in recovery of the abducted soldiers, adding that Pakistan extended good cooperation. Thanking the Foreign Minister, Zarif underscored Iran's desire to overcome all hurdles jointly with Pakistan in maintaining complete peace along the Pak-Iran border, the Foreign Office stated. "After an intense exchange of fire between terrorists and Security forces, 4 Iranian soldier were recovered from a transitioning hideout," it said, adding that the soldiers were handed over to Iranian authorities. In November 2018, Security forces also safely recovered five of the 12 Iranian border guards who had been abducted by militants a month ago from Lulakdan area near the Pak-Iran border.